Setting up a direct mail campaign seems to be one heck of a job. 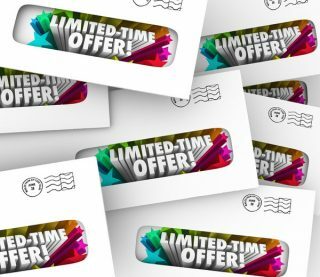 There are several procedures involved in orchestrating an entire direct mail campaign which makes it troublesome even for many technicians. For direct mail in Raleigh, the whole process will run smoothly with the proper preparation. Sales Copy. The client needs to draft the sales copy and the copy design. Copy should be written, edited, and the layout determined before going to schedule the mailing. Mailing List. Mailing lists are prepared to target your potential customers. Demographic filters are used to narrow down a general mailing list to focus on the people you are trying to reach. Age, income, gender, location and if there are children in the home are just some of the filters to use to get to the right customer. Choose the number of clients you wish to reach to keep prices under control. Printing. Use good quality printers. Approve the color proof before the order goes to print. Confirm the completion date of the printing. If the printer is also addressing the pieces, verify they have the mailing list and know the mail date. Assembly. Give instructions to the group or company who will assemble the promotional pieces. Supply the mailing labels or provide direction on which font to use for printing. Give instructions on the mail piece preparations: folding, stapling, stuffing envelopes, placement of mailing label, etc. Postage. To the people who will handle the mailing of the pieces, verify the class of mail to be used, and the posting date based on when you want the pieces delivered to target customers. Time sensitive materials need extra attention. There is no use having coupons arrive after the expiration date. Bulk mailing campaigns takes some planning but is a very efficient and inexpensive way to advertise in a community of potential customers. Small and large businesses alike can successfully increase business with bulk mailing. Limelight Direct Mail Marketing helps streamline this process by handling multiple steps at one location. Contact Limelight today for all your bulk mail needs at 919-452-5418.
nextHow Do I Develop My Mailing List?